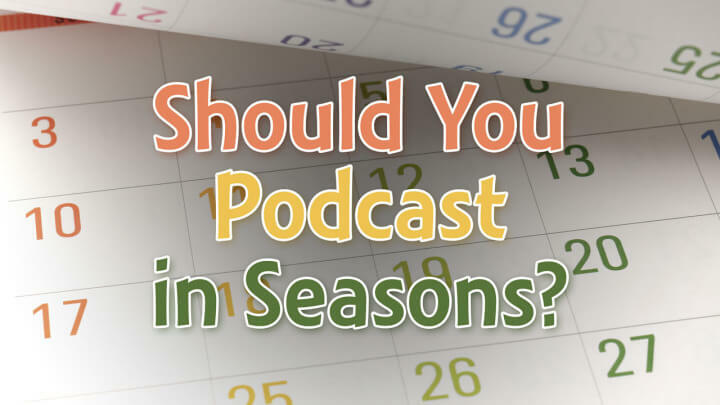 Should you podcast in seasons? Most TV shows are seasonal for good reasons. But does a seasonal schedule or approach have a place in podcasting? Here are the pros and cons. Seasonal content can have three varieties. Seasonal presentation approach—Focusing on a particular topic, or taking a repeated approach to different topics for a “miniseries.” This is kind of like the story arc of many TV shows. The Boagworld web-design podcast is a good example of this. Seasonal production schedule—Batching the recording and production work and releasing over time, but not necessarily having any publishing hiatus. Entrepreneur on Fire basically follows this format, but on a weekly basis. Your podcast could use just one or more than one of these methods to take a seasonal approach. For example, many modern TV dramas use all three (publishing schedule, seasonal story arc, and the necessary production schedule). But the first two will be most noticeable to your audience. “Podcast seasons” or “seasonal podcast” usually refer to the publishing schedule. But I'd like to help you consider all three varieties. Seasonal podcasting is probably the most beneficial to the person doing the work. From the point of view of a listener I don’t think I like the idea of my favorite podcasts being seasonal. One of the things that I like most about podcasts, and one of the reasons that I have become a loyal listener of podcasts, is that I feel like they are always “there for me.” Even during the times that my favorite TV shows or other programming are off or on hiatus. Perhaps even especially because of that. I feel like I can always count on my podcasts and podcast creators to be there whenever I feel like listening to them. From a podcast creator point of view however, some of the points you list are valid and I have to say I’ve never thought about them before. It sure would be nice to take a few weeks or longer off to research new topics or upgrade my website or explore new relationships etc. I also never thought about having a hiatus build excitement for my show’s return but can see how that might help. I guess I would say that my feelings on the issue are mixed. I know podcasters can’t work 365 days a year so I would never begrudge anyone a break. At the same time I’m happy that my favorite shows produce more consistently than other forms of media such as television. I will say this though, I was happy to read at the end of your email that the Audacity to Podcast will not become seasonal. So maybe that’s as telling of my feelings on the subject as anything else I’ve written here. I think story based podcasting can be seasonal, I think live morning show type of podcasts should be there on a consistent schedule all the time and become part of someone's routine. It all comes down to the content. If your morning show stops for a few weeks, another show will fill the vacuum. People are used to breaks between, movies, TV series, books and other “episodic” content. People work all summer and need to listen to informational and motivational shows on a consistent schedule. Once you establish that routine in them, they may fill betrayed slightly, and find someone else to fill that void. They may like them better than you if they aren't let down a couple of times a year. Content delivery intervals makes no difference to me. I prefer to receive push notifications via eMail or Soundcloud app. I don't use the Bloat-ware iTunes for podcast subscriptions. For some content creators, I think the batch production method that Michael Hyatt switched to makes a lot of sense. I think its a win/win for everyone and right up there with television podcasting, fiction podcasting needs seasons as well, I'm finding. I think the TV season model is a fantastic one for podcasters (and listeners), and my upcoming podcast will be following that model with 12 episode seasons. I … feel that taking the pressure off on constant content creation is one of the biggest pros. Doing it this way will allow me to batch-process pre-production (lining up guests, etc. ), production, and post-production thus saving precious time and avoiding the feeling of having to juggle all the plates at once. A potential con would be not being able to respond to certain trends and feedback along the way (say, acknowledging a faster-than-expected audience growth or putting in advertisers), but I think this can be minimized if I save episode finalization for the week of release and add a post-script (as seamlessly as possible). I can't count how many podcasts I've lost track of around the holidays or other life events (annual or otherwise). They keep going and I'm left behind. I could catch up, but the steady stream of content makes it feel like an impossible task. At least if there were “chapters,” so to speak, as in a seasonal situation, I could just focus on finishing one season at a time and get a sense of closure from each one. I think non-seasonal is good for a current-eventsy podcast, like a political commentary that works just as well for terrestrial radio. But since we're not doing terrestrial radio, why play that game? Why not be like the old radio dramas? Or TV seasons as you mention? I produce in seasons [show on YouTube] because It's the only way I can do it. I can film about 6 episodes on a Sunday morning (when the house is empty) and it then takes a month or so to edit together. That makes a season. Personally I'd rather release a constant stream of episodes, but it's just not possible. I have toyed with the idea of doing fortnightly episodes, but that doesn't seem any better than seasons of weekly episodes. I have a podcast that I started, intentionally planning on a seasonal format. For me, the reasoning was that I'm going with an academic frame (Creative Studio Academy): schools/colleges have semesters (seasons). I'll be closing the second semester in a few weeks. Between the 1st and 2nd semester, I took 3-4 weeks off. I did notice the numbers drop, even when I started back up, so I think that was too long. I'm only going to take one week off between semesters 2 and 3. I've also started to use the idea of semesters (seasons) to concentrate on a particular topic. My over topic for the podcast is online content creation. The first semester was just a bunch of miscellaneous episodes. The second semester primarily focused on blogging, with a little of about websites (what pages to have, design/layout, etc.). The third semester will primarily focus on podcasting. Part of my podcast deals with testing things and see how they work (the “studio” part of Creative Studio Academy). So, I'm trying different things beyond the “normal” ways. I don't have a big following, but that is largely due to lack of effort in that area – this is something I plan on working on more soon. I think that seasonal podcasting can work well with TV show podcasts – podcasting along with the show airing. Having a few podcast episodes between seasons (or mid-season breaks – Once Upon a Time is killing me!) can be beneficial to keep in touch with the audience and bring new revealed information, bonus interviews, or additional perspective (“we just re-watched —–, and we noticed this…”). If other genres were to do a seasonal format, I think it would be best to only have a week in between seasons (or maybe no break, just a change in topic, etc.). Generally speaking, I think that listeners can understand if a podcast needs to take a week off every once in a while, and as long as they are aware of it, they can deal with a week off. A break that is longer, especially if they don't know how long, can hurt the growth of the podcast. Relating to the seasonal podcasting. We do it for Arc Reactions Podcast …. First reason is so that Dylan and I can get caught up on our buffer. for the first 2 years we were releasing every 2 weeks and we started with an 8 episode buffer. By the end of Season 1 we had 6 in the buffer and were able to bring that back up to 8 by Season 2. After Season 2, we have 4 in the buffer. Now, at the end of season 2, we made a decision to reduce Arc Reactions Podcast to a monthly release schedule so that we could work on other projects. Almost immediately we picked up the podcast Bat Books For Beginners on TheBatmanUniverse.net and here it is February, and we have been working fruirously to get our buffers built up for both shows. I want 4 for each (8 total) like we have done for just Arc Reactions when it was on a 2 week release schedule. Second reason for the hiatus is that Dylan and I get busy during the holidays. Our season ends the middle of November and we pick back up at the beginning of January. I travel to family during the holidays and it is difficult to keep up with covering the material and finding recording times that work for both of us. Third reason is that I believe the audience also gets busy around the holidays and this allows them to stay current with the show when it returns in January, or not have as many episodes to catch back up on. The last reason was that it allows us to tackle bigger projects with the haitus if we are not behind and needing to catch up on regular sized content. What we do with Arc Reactions Podcast is review comic book story arcs (usually 6-12 issues), but there are very large arcs that we have tackled in multiple parts or used the hiatus to work on. The first episode of this year, Planet Hulk, was 24 issues long. That is very difficult to do in a two week timetable. Our process is to read the issues twice, summarize the story, develop talking points, and then record. That is doable on a two week timetable for those shorter arcs. … we have a seasonal podcast, we only operate it during the bee season. Being Beekeepers, this makes sense to us. We focus on building equipment over the New Zealand winter. June and July each year. What we are finding is that most of our listeners are in the US, so the seasons are all the wrong way around. But that could explain why our American listeners go up in the American winter? I see the importance of having a break and after a long bee season here, we need a winter break. What I might do is release evergreen content over our break, probably interviews to keep our listeners coming back for new content. I can think of an advantage to the seasonal format: it makes crowd-funding easier. Kickstarter doesn't allow ongoing projects, but breaking a podcast into seasons turns it into a series of discrete projects that can (potentially) be funded through a series of Kickstarter campaigns. I'm not sure what I think about seasons for podcasts. But the assumptions of the TV industry that viewership goes down during the holidays makes me question their reasoning around that theory, so I guess I think seasons may work for some content, but not most content. Does viewership go down around the holidays, or does the fact that almost no new content is released during the holidays cause viewership declines? I mean Christmas Day is typically the best box office day of the year for the movies, and if it isn't, that is because the 4th of July is a better performer. Summer box office is also better than winter box office generally. So the question raises its head again, is that because there is so little fresh content for TV? Back in the early days of television when the—at most 3—over the air channels covered the local MLB team during the summer it made sense to reduce production costs by not producing new content during the summer because there was no competition. But today, a lot of networks launch shows that become hits in the summer. NBC will soon be bringing the summer show The Night Shift back for a second season and it launched in the summer. Breaking Bad was a summer show that became a hit for AMC. There is such a dearth of new content in the summer you are almost forced to not watch television. So is this the ultimate chicken and egg scenario in terms of viewership? Having said that if you launched seasons the way John Lee Dumas would launch seasons with a new feed for each season to maximize new and noteworthy exposure or at least attempt to do so, I could actually see a pragmatic benefit to the process. For a long time, I rejected the idea of seasons out of hand because the conventional wisdom was that the audience would drop. However, now that I am taking my podcast on the road and combining multiple interviews into each episode (I am essentially moving from an over-the-phone WTF-style format to a This American Life-format), weekly or even bi-weekly episodes simply aren't possible. 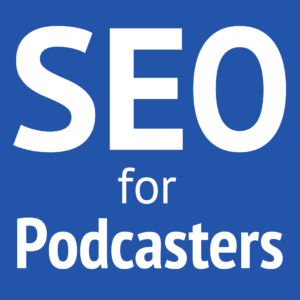 In short, I'm opting to increase the quality and decrease the quantity of my podcast episodes. One big factor: I do not do a podcast that is driven by current events. As a result, my podcasts have a long shelf life. This is a major factor in my decision. The other factor was the success of Serial. 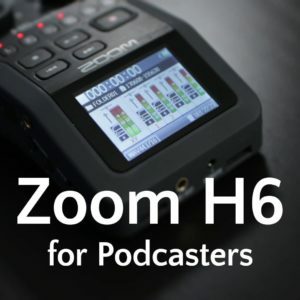 I view it as a watershed moment for podcasting, and it has lead me to believe that now is the time to invest in a higher-quality product. Not only TV uses seasonal trends. Craft beer drinkers are trained to look for seasonal releases ( I write about craft beer part time) and so does wine and now I expect cider will do the same. Restaurants work with seasonal offerings. For my full time work as a conflict management consultant, I see seasonal trends on behavior and offer that advice and reminder to be aware to my clients. This type of “Consumer Rhythms” work well for all and provides a bit of welcomed excitement. I started Leading Chaos Podcast specifically on September 11 to commemorate the day and plan on offering a special podcast annually for this day. Since then, I have played with interviews and provided both content and two ongoing series. Currently, I am reading my nonfiction book on the topic of conflict management and I hear that listeners like the “Part 1, 2, 3, …” model. This way they can go back to episodes as needed without feeling overwhelmed by the content. And it works really well for me, too, in formatting and design. I considered for a moment today that I should podcast on the current weather and how to manage the chaos of snow, but we work with a global audience and for some, it is now summer. If one goes for a seasonal thread in the world of podcasting and online media, it is imperative to stay in a global mindset and keep it relevant to all. Learn about the different approaches to content in the next episode! We take a hybrid approach. Because we need a break so we don’t accidentally start pod fading, we have eight weeks on followed by a week off. We play what we call “rewind” episodes during the off week so we can get reorganized, rejuvenated, and ready for another eight week run. It really, really helps to know there’s a break coming when I’m feeling burnt out. Is that a weekly show? One week is enough of a break for that? Because my show is short form, I usually write 4 or 5 episodes, then record them all at once, then edit, process, finish and once I have listened to them in the car and on ear buds, I finish the show notes and upload. The upload part happens over the course of 1 week. I didn’t think of this as seasons until you mentioned it. I have been as much as 7 episodes ahead and at that point took a full month off while they published automatically. Really works well, with no chance of burnout. I just uploaded my 25th episode, and the last released was #22. 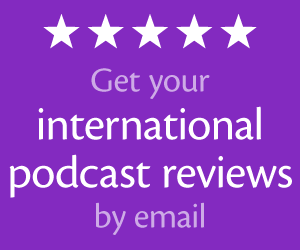 Thanks for reading my feedback and linking to my show. Another great episode!